db travelled to Paris with Champagne Castelnau this week for the launch of its second Hors Categorie prestige cuvée Col CCF2067, named after one of the most demanding climbs of the Tour de France. Champagne Castelnau has been the official Champagne of the Tour de France since 2012. 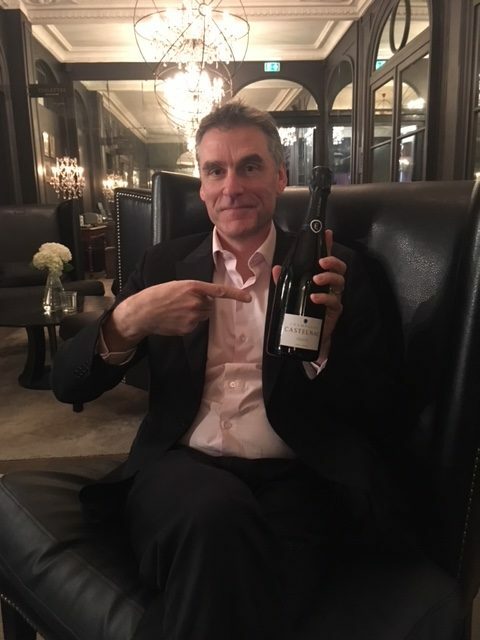 The multi vintage cuvée, modelled here by the producer’s CEO Pascal Prudhomme, is a blend of Champagnes from the 2010 and 2011 vintage, and is comprised of 15% Chardonnay, 35% Pinot Noir and 45% Pinot Meunier. Of that blend, 85% is from the 2010 vintage, which was aged on its lees in oak barrels, making this cuvée distinctive to others in the Castelnau range.